Below is a listing of the official 2018 USCA conference agenda. Details about the workshops and speakers are also available on the mobile app. 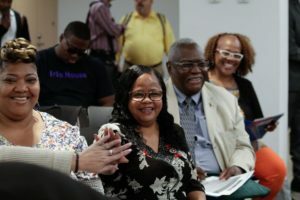 Forging a Successful Path to HIV Criminalization Reform in California! Smoking & HIV- Helping your clients understand the risks and how to stop. 2NP: A HIV/STI prevention intervention targeting young Black gay men. Structural segregation is killing us. Using HIV Surveillance Data: Where Do We Go From Here? HIV Stigma: Why Trauma Informed Care Matters. HIV/AIDS and Domestic Violence: It’s Not Just Physical Anymore!!! Ain’t I A Woman: Why Funding Gaps are Harmful!!! Moving Past Trauma with H.O.P.E. – An innovative model for CBA. How To Promote PrEP in the Latino Community. Are We Shaming Those Who Are Detectable? The Time is Now! Together or Never! 7:00 pm – 8:00 pm Special Performance by the Kinsey Sicks! Medicaid: Work Requirements, Time Limits, and Lock Outs, Oh My!